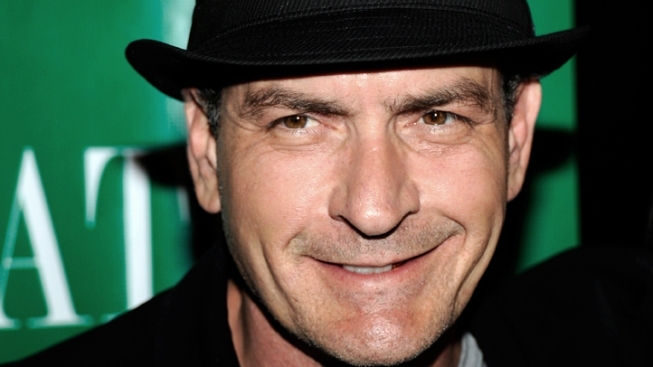 Charlie Sheen Talks Life After "Two And A Half Men"
Charlie Sheen said the show was "getting a little stale." Charlie Sheen is enjoying life after "Two and a Half Men," but feels sorry for the fans who will never saw his character get a proper sendoff. "It's nice to have closure with 'Two and a Half [Men],'" Sheen told Access Hollywood on Thursday night at the Juvenile Diabetes Research Foundation's 8th Annual Gala in Beverley Hills, Calif.
"177 episodes, it was getting a little stale. I just didn't know it was going to rot and fall off the vine like this," the actor continued. "I feel bad for the fans because there was never that final episode where [Jon Cryer's character] Alan like comes into my room calling my name and, you know, pulls back the closet door and there I am hanging… with the note, 'How do you like me now Chuck?'" The headline-making star said fans of the CBS comedy might see a final moment with his character – at least, possibly his own take on it! "I feel bad that there was never that," he continued. "Maybe I'll do a web version of it. We'll produce that one ourselves"
Adding, "I've had a lot of ideas and a lot of goals and I've been unable to pursue any of those for a while and now I feel like I've been liberated to go do those things." According to The Hollywood Reporter, series co-creator Chuck Lorre has developed a reboot of the comedy without Sheen's character. The new version of the series would reportedly feature Jon Cryer and a new, yet-to-be-cast character.